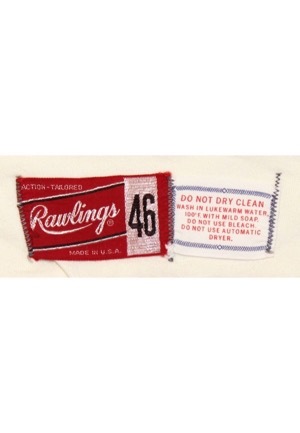 On the inside of the crotch piece is the Rawlings manufacturer’s tag size “46”. Attached is a flag tag with washing instructions. On the outside of the crotch piece reads “C773 PRINVAR”. 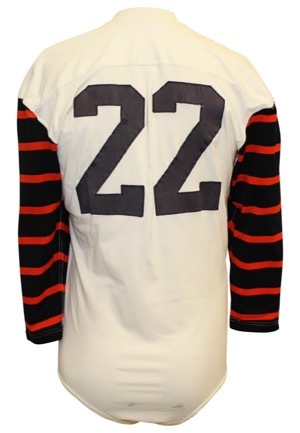 Across the front and the back is the player number “22” in black tackle twill. 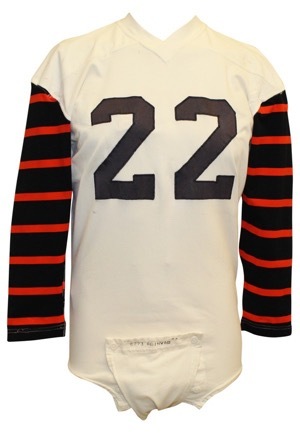 There are numerous team repairs throughout the jersey and team piping down the sleeves. This jersey is properly tagged, was presented to us as game-used and in our opinion shows excellent use. 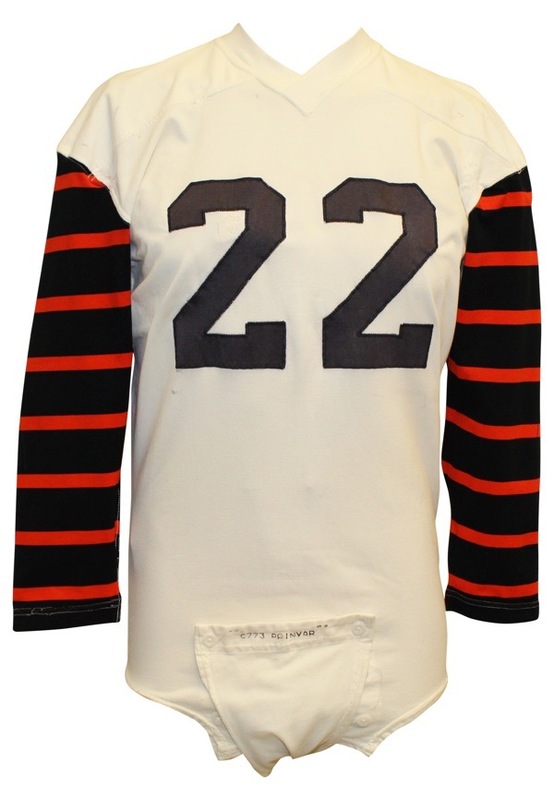 This jersey was sourced from an AD tent sale in the 1980s. Accompanied by a LOA from Photo-Match.com grading the jersey a perfect 10.